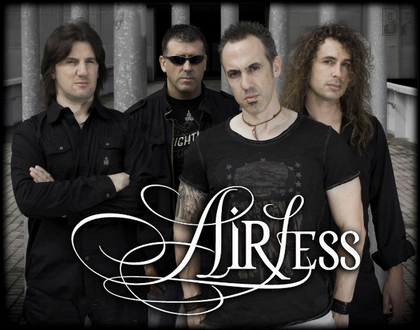 Spanish band AIRLESS started in January 2002 and soon signed to the company Vinny Records. Their self-titled debut album which was produced by Carlos Creator, was released in June 2002. "Airless" was distributed worldwide, including in Japan, and also was presented to society at Ritmo y Compás in Madrid. 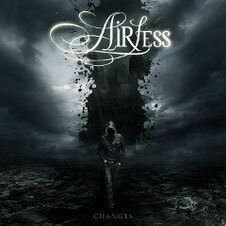 AIRLESS was part of a double CD compilation "Singing to the world", edited by the company FRONTIERS, in memory of those killed in the bombing of the twin towers, with Jason Becker, Tesla, Bonie Tyler, Doro, Paul Gilbert, Paul Nelson, Kane Roberts, Jimmy Hendrix and many more. This CD was distributed worldwide. The second album "2nd round" also produced by Carlos Creator and released through the Finnish company LION MUSIC. AIRLESS has shared the stage with renowned bands like Riot, Tyketto and Dare etc. In early 2009 they released their third album "Fight" and in February 2013 their fourth album "Changes" was released on CD and digital download. The album "Changes" contains of 11 songs genuine melodic Hard Rock, including a collaboration of Danny Vaughn (Tyketto) on the title track. The cover artwork was created by Felipe Machado (Blind Guardian, Rage, Rob Rock). AIRLESS performed in a festival Leyendas del Rock (Legends of Rock) 2013 with ACCEPT, DORO, SABATON and others in Villena (Alicante) in August 2013.